ven the ability for almost any user-generated video to go viral, the power of online videos is apparent: ability to touch a large amount of people in a short period of time. Online videos not only have the ability to generate a viral effect, but also allow for a greater number of people to be exposed to a message and be able to engage and interact with it. The brand awareness and exposure one can get from an online video is limitless, and there are some great new trending tools that will help companies learn how to “do it right” when it comes to posting video content online. Dailymotion: Filter videos by channel, time frame and video type. Viral Video Chart: Monitor “most contagious” videos from Facebook, Twitter, YouTube, and Blogosphere, and get stats that include number of shares and “buzz by language”. PoPScreen: A predictor tool that allows users to rank (“Pop-It!”) videos and to help show what WILL become popular (what is making headlines?) based on public interest and influencer score. Video “popscore” determines popularity of a video and includes content from YouTube, Blip.tv, Vimeo and Dailymotion. 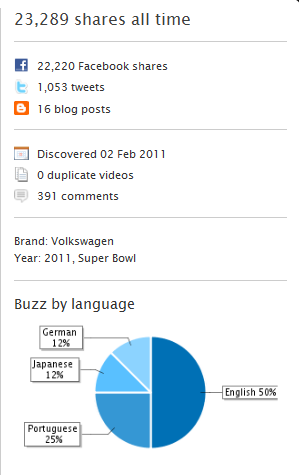 Zoofs: Discover the most talked-about YouTube videos on Twitter. Zocial.tv: This tool monitors Facebook and Twitter for the most popular trending videos. 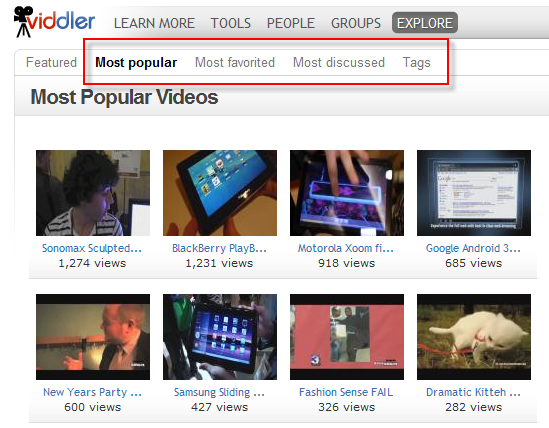 All tools mentioned above provide real-time trending results for online videos posted on multiple platforms. Discovering and monitoring these trends makes it easier for companies to understand what consumers want to see, what they find interesting, what they are talking about, and even what content they are generating themselves as user-generated content is becoming more and more popular. 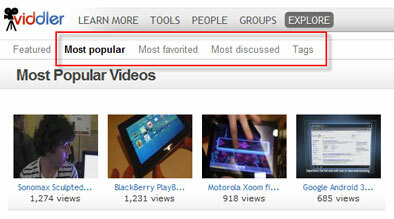 Knowing what the public is discussing online helps give companies ideas to utilize for their own video content. Today’s audience wants to be captivated and interested, and with so many videos online, the competition is fierce. One of the most important things for a company to realize is that videos do not need to be professionally put together – in fact, the more “real” the video is, the more the public will be able to relate/react appropriately and the more likely they’ll share it with others or discuss it. The power and reach of online video is very clear today, as in the case with Ted Williams, the once-homeless man with a golden voice who became an Internet sensation almost overnight. Were it not for the power of online video, would we have ever heard of him?